There were a few changes and updates made to the network yesterday both internally and for members. Just wanted to make sure you knew about them in case you hadn't noticed already. The first of which is pretty obvious are the New Badges. They have been moved from covering the upper corner of your photo and placed below the photos now. This should help those members whose photos were being interfered with by the old badges. We've added the RSS feed now for the "featured posts" that appear on the homepage. Non logged-in users can only subscribe to a feed of "public" featured posts. Logged-in users can subscribe to an additional "public + members only" feed of featured posts. To add the RSS feed to your reader or to get the proper link to do so, just click on the RSS Icon located in the address bar of your browser. I use Google reader for all my RSS feeds, but you can use any RSS reader or feed device. 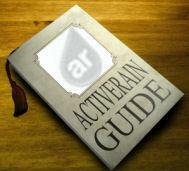 There's now a New way to earn points: every day, a member can earn 100 points for "logging in" to ActiveRain. These points will be awarded even if a member has opted to remain logged in. This applies to every member. You can now be rewarded points just for showing up to the community, but we hope you'll continue to engage with others through Blogging and commenting. As many of you know who have been here a while, we are continuously trying to improve and better the network and community for our members and visitors on a daily basis. Some of these features and updates may seem trivial, but combined, they do add value to the site overall. Enjoy! FAQ~ Frequently Asked Questions Straight From the Ticketbox. Jazz Up Your ActiveRain & Outside Blog with an Awesome Header!